Don't let NERC violations put you at risk! As the largest NERC approved online training provider, we have the tools you need to keep your workforce safe and in regulatory compliance. Let's work on a solution together! 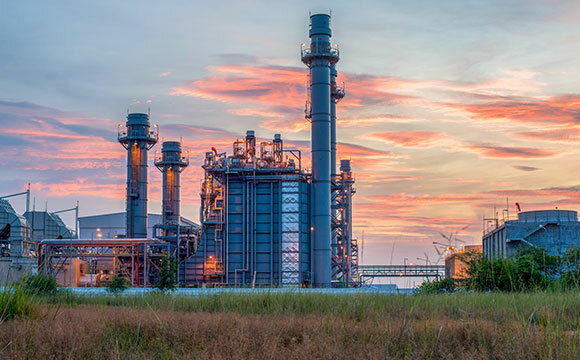 In the Power & Utilities industry, your risk and compliance management doesn't just impact your business - it impacts national security and the economic well-being of the country at large. It's a big job, and it takes your entire workforce to do it well. That's why thorough and NERC-compliant training is of the utmost importance. NERC-approved, self-paced, mobile-friendly and reasonably priced. 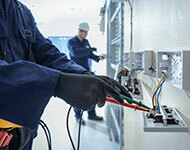 Educate your workforce in electrical safety standards, the relationship between NFPA 70E and OSHA regulations, and the practices necessary to reduce exposure to shock, electrocution, arc flash and arc blast hazards. Train your employees in the principles of protection systems and their impact on system operations. Topics include the protection schemes used for generators, buses, transmission and distribution lines, transformers, and motors. Teach your employees about distribution system technology at the technician level. Topics include distribution networks and equipment, system protection, control and automation, equipment testing and maintenance, and the distribution system operator's role. 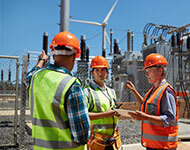 Provide your workers with an overview of abnormal operating conditions and their implications, including faults on the system, loss of generation, equipment-specific problems, and interchange emergencies. We have the tools your training program needs for effective compliance and risk mitigation. We keep up with regulatory training requirements so that you don't have to. 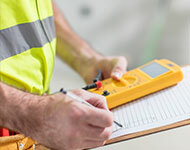 Our courses are approved or accredited by the ruling bodies in every industry, and an official certification is often available upon completion of the course. Managing workforce training has never been so effortless. Our mobile-friendly, easy-to-use LMS platform helps you streamline your training process from easy enrollment to progress and performance tracking. Every company that partners with us is provided a dedicated, experienced account manager to make sure all training goals are met, and all compliance requirements are fulfilled.